Personality assessments are a good starting point in the Life Coaching process. They will help you to better understand who you truly are. ​The following are a few of the Personality Assessments that my clients use to help gain clarity. The links listed below are FREE and will bring you to another website. If you plan to work with me at any point in the future please be sure to keep a copy of you assessment results. 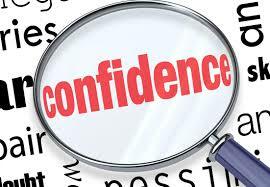 Take an inventory of your self confidence and "self efficacy." If you have an average to low self confidence score you may want to consider a coaching program. Please schedule your consultation if your score is lower than 51. This is a great aptitude test I found on RichardStep.com. "This version of the strengths and weaknesses aptitude test was made for people that are already aware of the importance of discovering more about themselves, but might not be entirely sure where to go from there." 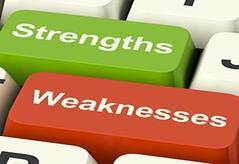 In 10 quick minutes (84 questions) you can find your 5 top strengths and 1 bottom weakness. This is a great place to start when determining your path of personal development and a wonderful tool to help in creating your dating profile! Katharine Cook Briggs and Isabel Briggs Myers extrapolated their MBTI theory from Carl Jung's writings in his book Psychological Types. The Myers–Briggs Type Indicator (MBTI) is an introspective self-report questionnaire designed to indicate psychological preferences in how people perceive the world and make decisions. 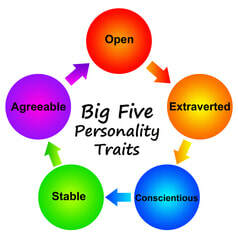 The Big-Five model of personality traits is the most popular model of personality traits among personality psychologists. Take this 120-item personality test to see how you score on the Big Five personality dimensions, as well as 30 more specific personality facets. 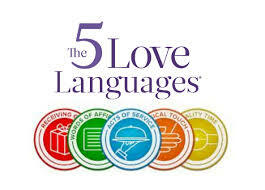 The 5 Love Languages is a way to understand how you receive love. Learning more about what your Love Language is can be a very useful tool in dating and relationships. Learning what your partner's Love Language is can be very useful in relationships.